Features: Established >40 years ago, Pall’s SLS group employs experts in chromatography, viral clearance, liquid and air filtration, microbiological process monitoring, tangential-flow and depth filtration, and blood processing. Services offered include validation, consulting, process development and proteomics, preinspection reviews, contamination analysis, and training. Instrument services include calibration, servicing, upgrades, documentation, qualification and technical support. 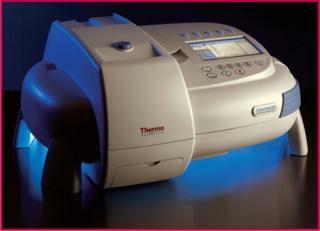 Features: Thermo Fisher’s Evolution 200 series of UV–visible spectrophotometers features Insight software with customized user–environment scripting capability. Designed for routine quality testing and standard quantitative analysis, three instruments offer fast data collection for kinetics measurements. Smart accessories enable accurate, cost–effective sample handling with automated software recognition and programmable control. 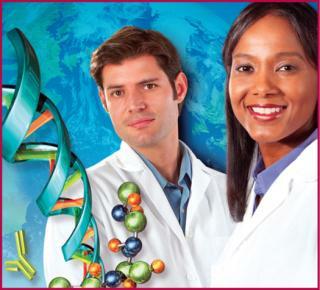 Insight software offers preprogrammed assay methods and a data browser to organize results. Users can choose between network, computer, and local touch-screen control. Features: Low solubility is a common but complex hurdle on the path to phase 1 trials and commercialization. Companies typically have their compounds screened by the proprietary technologies of different vendors — a one-at-a-time approach that can be costly and time consuming. Patheon’s SoluPath fixed–price, multiplatform solution accelerates development with parallel formulation screening through an all–in–one package of multiple leading-edge technologies. These include five different drug delivery modalities: micronization, nanoparticles, lipid-based solutions, cosolvent solutions SMEDDS/SEDDS, and spray drying. Features: The Accuri C6 flow cytometer is small enough (2 ft3, <30 pounds) to fit on a laboratory benchtop and designed for a fast learning curve. It is ready to use out of the box, requiring no optical alignment. An automated CSampler option provides flexibility to process samples in plates or tubes unattended. A low-pressure pumping system (instead of more expensive pressurized systems) drives fluid flow for sample concentratios >5 × 106 cells/mL using any 12 × 75 mm or smaller sample tube. The automated cleaning cycle is initiated with a mouse click. Features: Based on BugLab’s patented optical technology for measuring biomass, this is the world’s first handheld, noninvasive optical density (OD) sensor for shake flasks and other small cell culture vessels. By measuring directly through a container wall (reporting in three seconds), it eliminates the labor, contamination risk, and inaccuracies associated with opening vessels to sample and dilute for OD measurement. The scanner reports ODs of 0.1 to 50 through 125-to 2,000–mL glass, PC, or PET vessels — requiring only 1 cm of fluid. Up to 1,000 measurements can be stored, tracked, and downloaded. Features: PreSens systems enable 2D sensing of oxygen distribution by combining digital imaging technology with optical sensor technology. One image shows an array of single-point sensors for cartography of metabolic activity. The system includes a cameraequipped detection head, control and evaluation software, and a flexible O2 sensor foil with a spatial resolution of ~100 µm that can be shaped to any desired geometry just using scissors. Measurements can be organized as userdefined sessions in separate folders and annotated with free–text comments.